For anyone who wants to enhance their relationship by learning to communicate with less blame and more understanding, Communication Miracles for Couples will show you how. 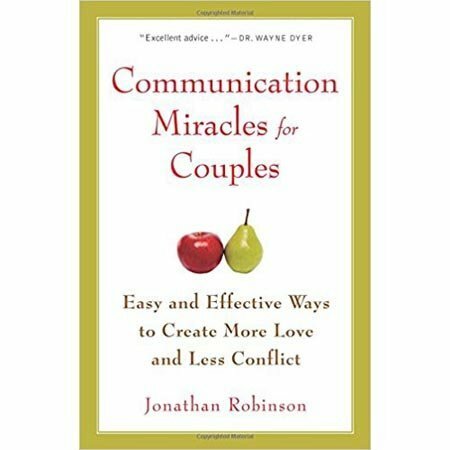 Create lasting harmony and keep love alive with psychotherapist and bestselling author Jonathan Robinson's powerful and simple methods for effective couples' communication. For anyone who wants to enhance their relationship by learning to communicate with less blame and more understanding, Communication Miracles for Couples will show you how. Communications Miracles for Couples has helped hundreds of thousands of couples repair their relationships. Whether you are looking to enhance your relationship or are deeply mired in conflict, these techniques can help anyone develop more effective communication with a spouse or partner.